With car dealerships in Menomonie, St. Croix Falls, and New Richmond, we see ourselves as a regional car dealership, and not simply as a car dealership in New Richmond, St. Croix Falls, or Menomonie. 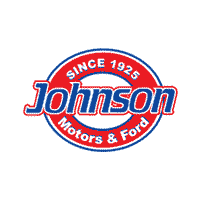 That’s what makes Johnson Motors and Johnson Ford specials. We aim to exceed your expectations at every point at our dealerships, from the simplicity of our website to the cleanliness of our service area. By exceeding the standards with every interaction we hope to make you a part of the Johnson family. We encourage you to browse our online inventory, schedule a test drive and service appointments. On the new side we sell Ford, Chevrolet, Buick, and GMC vehicles. That means that we sell three of the best truck brands, as well as an incredible selection of SUVs to choose from. When you consider our used cars for sale, though, things get even better. We have one of the best selections of used cars in Wisconsin, not just New Richmond, and that all starts with the quality of those vehicles. We chose our brands and used vehicles because we want our vehicles to match the experience that you find at our dealerships.